Hot or cold, spearmint tea and its benefits will keep you healthy. The pleasant aroma of spearmint leaves has boosted the flavor of foods and personal care products such as toothpastes and mouthwashes. You may even enjoy the herb in your favorite chewing gum. 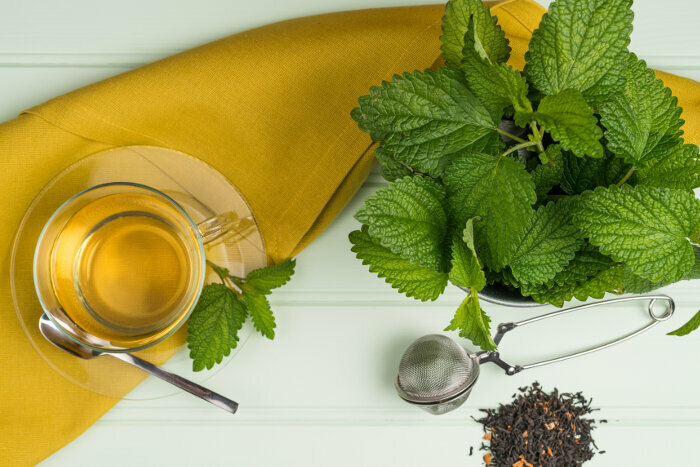 Spearmint tea is another way to receive the benefits of this gentle, yet powerful herb and make each day better than the last. 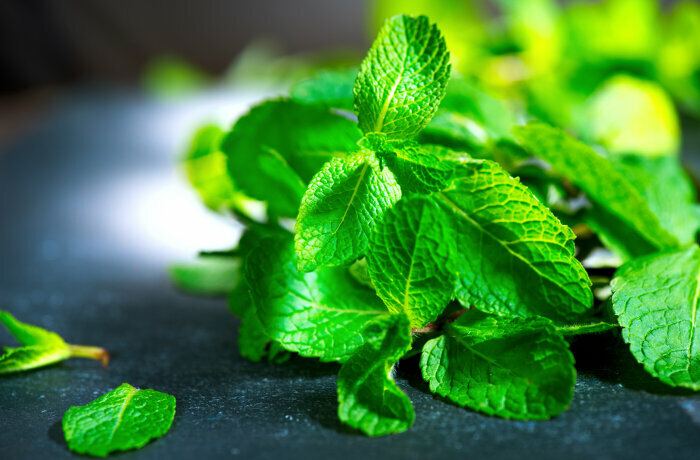 The scientific name for spearmint is Mentha Spicata. The herb has a strong, sweet aroma, but is not as strong as peppermint. According to the College of Agricultural Studies at Penn State, spearmint was used by the Greeks for medicinal purposes such as curing hiccups and clearing the voice. If you wake in the morning feeling as if you have a frog in your throat, a small, warm cup of spearmint herbal tea can clear your voice and prepare you for the day. You can even grow your own spearmint in moist soil and sown from seeds in flats. Then, transplant the seedlings to moist soil. Penn State warns to trim back runners, as this herb likes to travel. A study presented in the December 2014 edition of Journal of Medicinal Food, report that spearmint tea may be a beneficial complementary, alternative medicine to help combat the pain from osteoarthritis in the knee. Since spearmint is a natural product, you also do not have to worry about harsh side-effects while trying to manage your pain. Other studies, such as the one presented inPhytotherapy Research, have shown that two cups of spearmint tea a day may help reduce hair growth in women who suffer from growth on the face, chest and stomach due to higher levels of male hormones. Extra hair growth is also associated with polycystic ovarian syndrome and spearmint tea may also reduce the hair connected with PCOS. The herbal, spearmint tea is easy to prepare, has a milder aroma than peppermint and can be enjoyed throughout the day. One of two cups of this delicious beverage, served hot or cold can bring you relief from discomfort, elevate your memory and reduce your stress. Sounds like the perfect drink for the office! While spearmint is a natural, herbal remedy, it should be used with caution, especially during pregnancy. Possible side effects from large amounts of spearmint during pregnancy include damaging changes to the uterus. Always speak with your physician before using any herbal supplements during pregnancy. If you suffer from a liver or kidney disease or disorder, be aware that excessive amounts of spearmint may worsen your condition. Check with your doctor before beginning a spearmint tea, herbal supplement. Spearmint tea is caffeine free, so it should easily fit into most dietary concerns. It also meshes well with a low-cholesterol diet. Whether you grow your own spearmint, buy fresh leaves, or purchase the mint already chopped, you can prepare this delicious beverage at home. Start your recipe by rinsing a handful of spearmint leaves to remove any dust. Add the leaves to a half of cup to 2 cups of water into a saucepan. Turn the burner onto very low heat and let the leaves simmer for eight to 10 minutes. Pour the beverage into a mug and catch the leaves with a sieve. Some people leave in the leaves to increase the flavor. Let the drink cool slightly, or entirely before you enjoy. You can add honey, sugar, lemon or other ingredients to enhance the flavor. If you are using dried spearmint leaves, use 1 tsp. of the leaves. You can place them in a tea ball and add to 2 Cups of hot water. Either drink while warm or let the tea cool completely for a refreshing summer, evening beverage. The amount of spearmint tea needed to boost health varies by factors such as your age and your health.